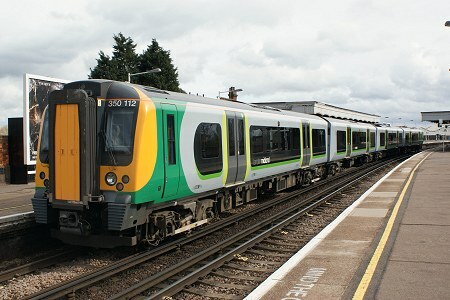 350112 at Selhurst with the 12:13 from Milton Keynes to East Croydon. Of note 350120 joined the "Southern" contingent temporarily and was noted working the 10:10 departure from East Croydon and 12:13 departure from Milton Keynes on 24th March. However its pantograph was damaged and was retrieved by 350122 to Bletchley overnight 27th into 28th March, so 350122 can also be added to the list of Class 350/1s that have worked on the DC network. 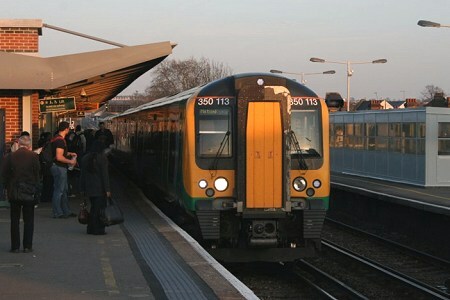 350113 at Balham working the 17:10 East Croydon to Milton Keynes on 18th March.